New Delhi, March 22: Congress leader and former minister of state Jitin Prasada, amid speculations of him joining the BJP doing rounds, refused to answer reporters on whether he would be joining the BJP before 2019 Lok Sabha elections. The Congress leader termed questions of him joining the BJP as "hypothetical." Prasada added, "Where is this coming from? If they are saying in the evening, I will join then its evening already. You ask them." Gautam Gambhir Joins BJP Ahead Of Lok Sabha Elections 2019, Says 'I've Been Inspired by PM Narendra Modi'. Jitin Prasada is considered close to Congress President Rahul Gandhi. Reports say that Prasada is unhappy with the Congress party planning to nominate him from Lucknow seat. However, the Congress has included his name in list of candidates from Dhaurahra seat. Randeep Surjewala, chief of Congress communications, also took a press conference and clarified that Jitin Prasada is not leaving the Congress party. BJD Stalwart Baijayant Panda Joins BJP, Days Ahead of Lok Sabha Elections 2019. Jitin Prasada started his career with the Indian Youth Congress as a general secretary. In 2004, he won his first election and was elected Member of the Parliament in the 14th Lok Sabha from his hometown constituency of Shahjahanpur, UP. 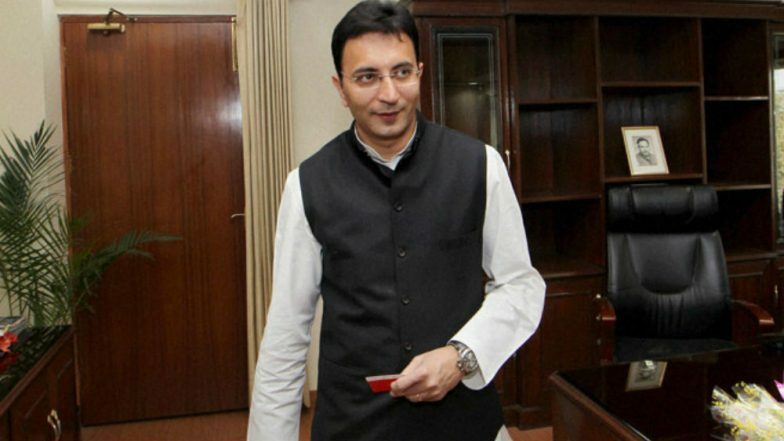 In his first tenure as Member of the Parliament (MP), Jitin Prasada was inducted as Minister of State for Steel and was one of the youngest minister in the Cabinet.